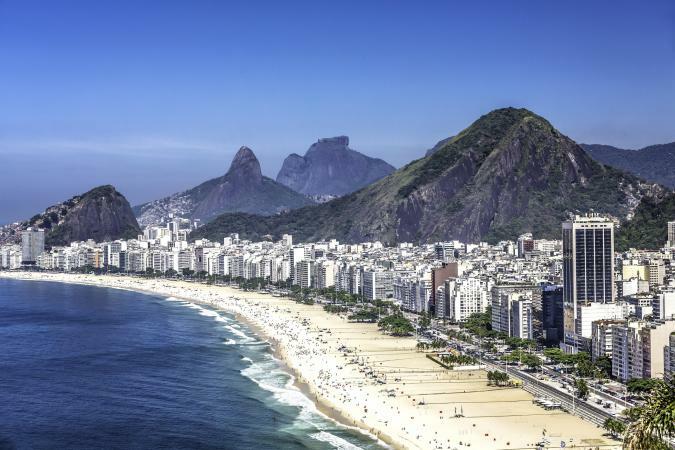 Lodging options in Rio De Janeiro, or just "Rio" as it's commonly called, range from very expensive luxury hotels to funky, budget-friendly hostels. Whether you're looking for beachfront luxury, a party-friendly hostel, or even a nice spot to bring your four-legged friends, Rio has it all. 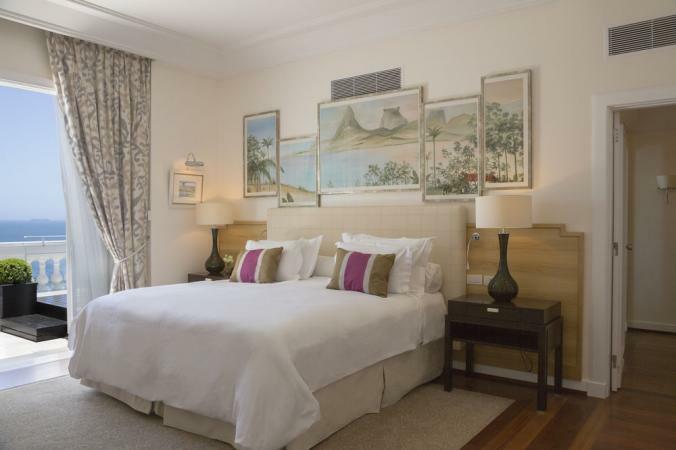 Located in the hilltop neighborhood of Santa Teresa, the Santa Teresa Hotel RJ MGallery by Sofitel is a top-rated luxury hotel. The Santa Teresa neighborhood is popular with artists and bohemians, famous for its narrow and winding streets. If you want beautiful views of Rio, this is the spot. Some of the hotel's amenities and features include limo/town car service to town, a 24-hour airport shuttle (surcharge), a full-service spa with outdoor pool and health club, and an on-site luxury restaurant and bar/lounge. The hotel is pet-friendly and even offers babysitting services upon request. Suites here are over 400 square feet and feature a desk, king-size bed, bathroom with shower or tub, and a covered balcony. In-room amenities include a hair dryer, minibar, in-room safe, bathrobes, and slippers. The hotel boasts an average TripAdvisor rating of 4.5 out of 5 and it's one of US News' Best Hotels. Rates average around $330 US a night, but you can find deals on various hotel sites for under $250 a night. The Hilton Barra Rio de Janeiro is the top-rated Rio hotel on TripAdvisor. While the hotel itself ranks high, it's the staff and impeccable service that seem to win travelers over. 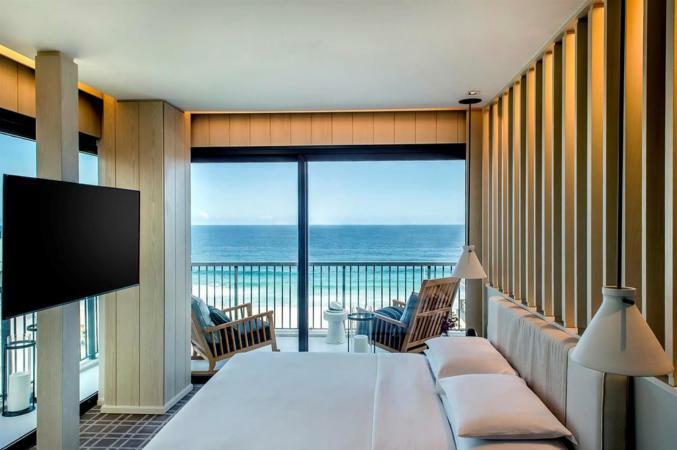 As you've come to expect with the Hilton brand, the Hilton Barra Rio de Janeiro has services and amenities geared towards both business travelers and families. Everything from A/V equipment rental to babysitting services is available. Guest rooms feature stylish decor, views of the Jacarepagua Lagoon, comfortable Suite Dreams mattresses, and the Hilton Serenity Collection of amenities. There is a work area, safe, small fridge, coffeemaker, and more in every room. Suites are around 100 square meters (over 1,000 square feet) and offer the same features as the guest rooms, but then they add more, like LCD cable TVs and alarm clocks with MP3 connections. Or, splurge for the Executive level rooms with access to the Executive Lounge. Here you'll enjoy daily continental breakfast, free Wi-Fi, and snacks and beverages throughout the day. Room rates at Hilton Barra Rio de Janeiro start around $150 US a night. Hotels.com features its trending properties in each region, and the Windsor Atlantica, Rio de Janeiro is the most-booked property in the area. It's beachfront (less than one minute walk) and is located near Sugar Loaf Mountain. The property features 545 guest rooms and offers a variety of amenities like free buffet breakfast and Wi-Fi. There are two restaurants, two outdoor pools, three spa tubs, a children's pool, and a fitness center. Beach cabanas are free. Don't miss the views from the rooftop terrace or a delicious Italian meal at the Ristorante Alloro. On the fourth floor, you'll find panoramic viewpoints, along with a Brazilian culinary buffet. Rooms and suites feature views of Sugar Loaf Mountain and/or the coastline. The Windsor Atlantica is close to historical cathedrals and other major attractions. Rooms start at $178 a night on Hotels.com. 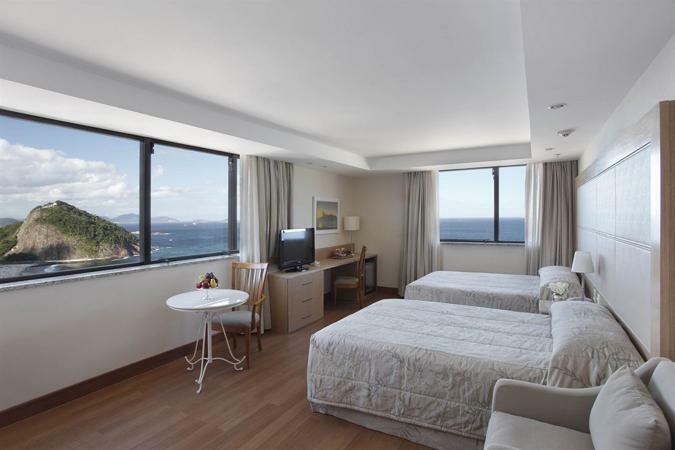 If you're looking for a luxurious deal on Ipanema beach, consider the Caesar Park Rio de Janeiro. It's centrally located on the beach, but was once considered a "tired relic." The arrival of the Olympics in Brazil helped give this property new life as the Sofitel group took it over. The Telegraph ranks it as the top pick for Rio de Janeiro now, with an overall 9/10 rating. It's located in the "heart and soul" of Ipanema, where you're likely to spot celebrities and famous sports stars. It's also close to Copacabana beach, where the impressive New Year's fireworks take place. The Caesar Park Rio de Janeiro is a short walk to great restaurants, shopping, and more. The hardest choice you might have to make is whether to take advantage of beach-side service and people watch, or lounge by the luxurious pool area, complete with a new bar which offers stunning views along the beach out to Dois Irmaos Mountain. Don't miss the rooftop cocktail bar for a sunset cocktail either! The 222 guest rooms were refurbished in 2015 and now feature real wood floors and classic Sofitel beds. One tip the Telegraph offers in its review is to pick a room on a higher floor. This will get you the maximum light and best sea views. If you're into stats, book the Imperial Suite, said to be the biggest hotel room in the entire city! Rooms at Caesar Park start around $180 US. 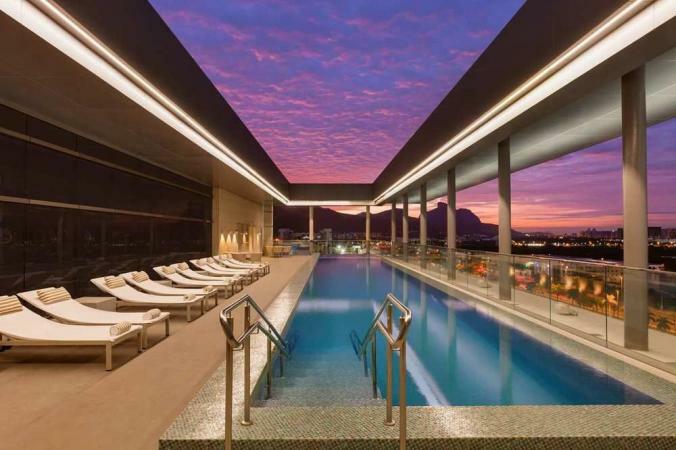 The renowned Five Star Alliance ranks the Grand Hyatt Rio de Janeiro as a top pick, and even includes a special perk if you make reservations through their site. Guests making reservations through Five Star Alliance will receive a complimentary full breakfast for each guest at Tano Cucina Italiana and a $100 spa treatment credit per room (not available on advance purchase rates). Also, subject to availability at time of check in and check out, you may be treated to a room upgrade, early check in, and late check out. The Grand Hyatt overlooks Marapendi Lagoon in the exclusive Barra da Tijuca area. There are 436 rooms, all designed by Yabu Pushelberg, a renowned design firm with offices in Toronto and SoHo, New York. 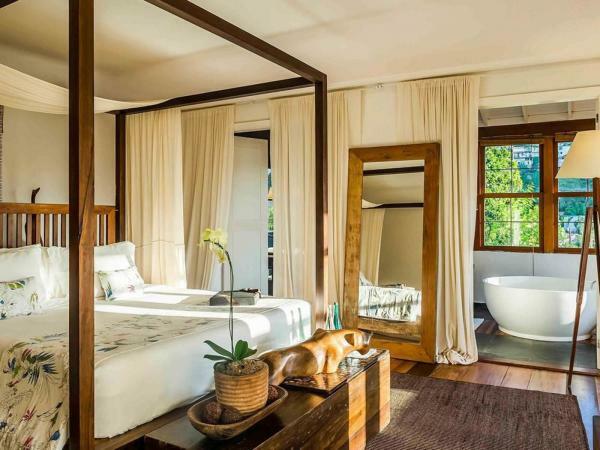 They feature outdoor terraces, Nespresso machines, and bedside lighting controls. Bathrooms have separate tubs and walk-in showers, with signature Granado bath products. Splurge for either one of the two Presidential Suites or the Penthouse Suite, which has a private plunge pool. The Atiaia Spa is the spot to get a variety of spa treatments done. The spa has nine private rooms, a relaxation lounge, 24-hour fitness center, and two steam rooms. The hotel features are three restaurants, an outdoor pool with a wet deck, beach services, and more. Rates at the Grand Hyatt start at around $140 US. 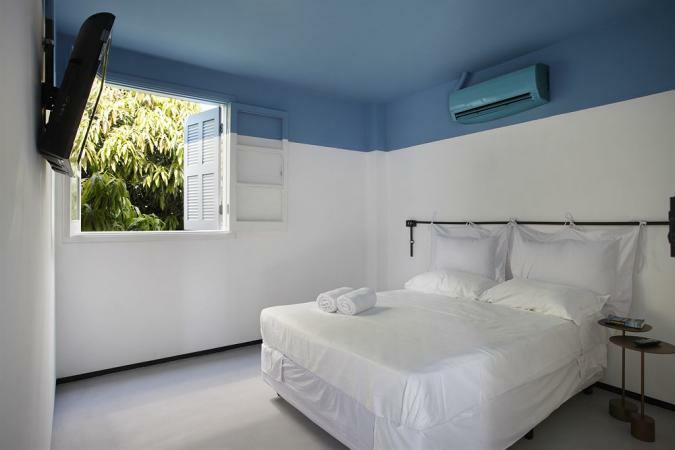 If you're looking for a small boutique hostel, consider Contemporâneo Hostel. Opened in 2012, it features Brazilian designer furniture, including cool Latoog hanging chairs, and artwork from the local art school. Guests have access to the kitchen, free Wi-Fi, lockers, and a library. Dorms sleep four to nine people. For more privacy, book a private double. The Contemporâneo Hostel is located very close to the subway, and the beaches are about 6-10 minutes away by Metro. The Guardian counts it as one of the top 10 hostels in Rio de Janeiro, and notes it attracts a surprisingly older crowd as far as hostels go (typically thirty-something travellers). Dorm rooms start as low as $21 US, while private rooms start around $73 US. If you're looking for a party hostel, Budget Your Trip ranks Lemon Spirit Hostel as one of the best. It's located one block off the beach and is only a short walk to the area's most popular restaurants, bars, and malls. It was the first hostel in the Leblon area, and continues to be one of the most popular lodging options in town. Lemon Spirit Hostel has four and six person dorms, which include air conditioning and individual lockers. There are individual private bathrooms and plenty of common areas, including an area with a bar, breakfast area, kitchen, and lounge. The lounge has internet, television, and a DVD player. You'll even be treated to a welcome Caipirinha upon check in! Reviews on Hostelworld are overwhelmingly positive, with a lot of recent 9 and 10 point reviews (on a scale of 1 to 10). Nightly rates start around $14 US. If you're looking for the top spa resort in Rio de Janeiro, consider Belmond Copacabana Palace. It opened back in 1923 and displays a classic luxury that is not often found in modern hotels. Recognized as one of the most luxurious, if not the most luxurious hotel in Rio, the Belmond Copacabana Palace was designed by French architect Joseph Gire, who drew inspiration from the Negresco in Nice and the Carlton in Cannes. According to Five Star Alliance, the Belmond Copacabana Palace has only had two owners since its opening - the Guinle family from Rio, and in 1989, Orient-Express Hotels, Trains and Cruises, which is now Belmond Hotels, Trains, and Cruises. Rooms feature either city or beach views. Each one is unique, showcasing period furniture and original works of art. King or twin beds, a writing desk, an iPod dock, a widescreen plasma TV with cable, a fully-stocked mini bar and Brazilian slippers are just a few of the amenities in rooms. The hotel features a semi-Olympic pool available for all guests, while there is also a private pool for the 5th and 6th floors. The 5th floor is geared towards business travelers while the 6th floor penthouses are the most luxurious accommodations. The hotel's Copacabana Palace Spa takes up three entire floors and is one of the finest day spas in the city. There are five individual treatment rooms, two dual treatment suites, a fitness room, sauna, steam bath, and relaxation area. The hair salon is one of the most exclusive in the city and spans two floors. Rooms start around $250 US a night. While hotels in Rio tend to run on the pricey side, there are hostels and budget-friendly lodging options around town. 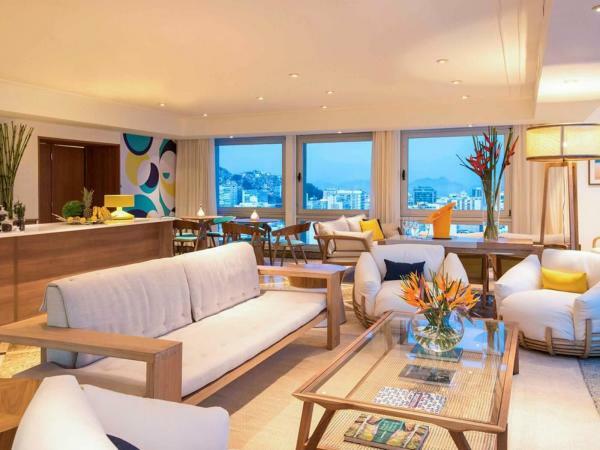 For those looking for ultra-luxurious beachfront accommodations along Rio's iconic beaches, like Ipanema or Copacabana, you won't be disappointed!